Recently I had the opportunity to correspond with CAPT Wayne Hughes, USN (Ret.) and RADM Robert Girrier, USN (Ret.) about the new edition of Fleet Tactics and Naval Operations. We get into everything from why the littorals matter to how information warfare will shape the future of naval warfare. Nelson: Admiral Girrier, Fleet Tactics is now in its 3rd Edition. What are some of the new topics in this edition? Is there a particular section you focused on? Girrier: Picking up where the 2nd edition left off, topics given additional emphasis in this edition are the emergence of unmanned systems (air, surface and sub-surface), artificial intelligence, and information warfare. The increasing value and the need for decision superiority is stressed. I did focus on the value-added of unmanned systems serving as complements to existing capabilities, and how – if properly employed – they can take us to a new level of fighting at machine speed. The process of sensing, evaluating, making decisions, and then executing is treated throughout. 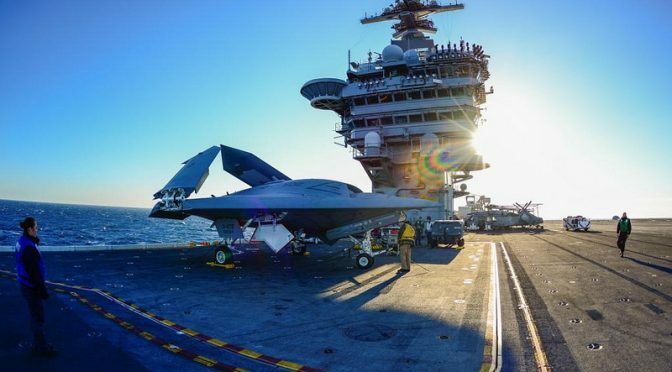 Nelson: Artificial Intelligence, Information Warfare, Big Data – lots of changes in the world and all of them will affect the future of warfighting. When you were tackling these topics, what were some of the books or resources you went to when trying to understand these new issues? Girrier: I drew heavily from my experience standing up the navy staff’s first-ever organization dedicated to unmanned warfare systems, and how we could harness these new capabilities most effectively in step with our existing force. It was a matter of applying the emergence of new technologies to the operational realities we tackle today. Nelson: To continue with the topic of technology, in your book, you say everyone should read Elting Morison. Who was he and why should everyone read his work? Hughes: Elting E. Morison was one of our most astute observers of U. S Navy development, especially in peacetime. He described how USS Wampanoag was designed by master shipbuilder Benjamin Isherwood and commissioned to chase down Confederate raiders and privateers. When she was commissioned in 1869 she was the fastest ship in the world, having steamed for a long distance at 23 knots during her trials. Her speed would not be exceeded by another ship for two decades. But the war was over and so she was laid up and forgotten. There is more to the story, but Morison’s description, and his respect for Navy leadership during its thin years while the nation looked to the west toward California is an early story about complex, fiscally constrained decision-making that is pertinent today. Nelson: So here’s my question: Doesn’t this assume that there is connectivity between tactical commanders and naval HQ or Joint HQ during conflict? Because if they lose connectivity – or if it is degraded or destroyed, what then? Is it Mission Command? Hughes: You cite one important reason—enemy interference—but in past and present editions of Fleet Tactics two more contrasting reasons are included describing why connectivity and well-honed skills at mission command are important. In peacetime on the edge of war the HQ including the national command authority in Washington will want to keep a tight rein on the participants out of fear that some major or colonel will be a loose cannon and shoot too soon and start World War IV. But when the shooting starts, a headquarters will be saturated with too many events and if commanders who are accustomed to top-down control wait for directions from on high the orders may not arrive on time. Moreover mission command is necessary in wartime because the local commander, including the ship captain or Marine Company Commander will have a better knowledge of the local enemy and conditions. In the botched Iranian Rescue Mission, some of our helicopters already en route turned back because a dust storm rose which the local meteorologist was aware of, but the weather guessers in Washington were not. Girrier: Fleet Tactics and Naval Operations acknowledges the reality of crisis operations short of war, and the need to wield combat power with great precision that is completely in step with national intent. At times this may be a connection from higher echelons down to the more tactical level. There are nuances in these circumstances – at the strategic and operational levels – that shift and the on-scene level won’t be aware of…can’t be aware of. Conversely, as circumstances deteriorate and connectivity becomes challenged, there is great value in mission command and acting on commander’s intent. We place great value on initiative and the high quality of our commanders from the tactical to operational levels. Traversing these levels with agility and speed is critical to combat success. Nelson: What do you think the 21st Century missile age means for naval warfare? Numerous countries now have long range maritime weapons. Yet do you think we might see a naval war in which range is defeated – not entirely, but largely – by decoys and counter C4ISR? Do we then end up in a situation with a destroyer’s Commanding Officer realizing they’ll have to use weapons when they are within visual range of an enemy combatant? Girrier: The 21st century missile age brings faster and longer range lethality. At the same time, the areas where we may be called to action – where influence and combat capability is needed – may draw us into the littorals. By virtue of geography, the inherent challenges of targeting, and ever-increasing countermeasures, the ability to survive in these highly lethal environments is possible – it requires great skill, a mix of awareness, speed of decision, and speed of action. Hughes: Fighting in the missile age is also affected by the effects of clutter of all kinds in coastal waters. Offensive tactics that achieve surprise attacks at relatively short range make littoral waters different from blue waters where we must control the seas and therefore must have strong but expensive defenses. Nelson: So that’s why the littorals matter? Girrier: It’s where the sea meets land and where combat effects – from the sea – can have decisive effects to larger campaigns. Hughes: Most combat at sea has been in littoral waters for some purpose connected to the land. That has been true since Greek and Roman times and is likely to be just as true in the future. Currently the most likely locations of future battles involving our Navy, including land-sea interactions, are the Baltic, Aegean, and Eastern Mediterranean, the Persian (or “Arabian”) Gulf, the South and East China Seas, and the Yellow Sea. Since a cornerstone of Fleet Tactics was and still is “A ship’s a fool to fight a fort,” today’s naval officers must consider carefully what is meant by a “fort” today. Nelson: How do we tackle the problem on bridging the divide between the knowledge found in tactical publications and actual operator skill? 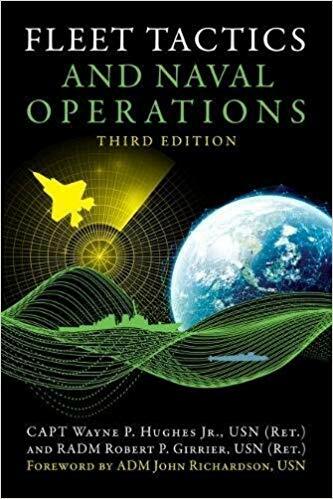 Hughes: Achieving operator proficiency is the topic of the book. For example, we have little praise for the principles of war and instead promote the study of constants, trends, and variables over history as the way to avoid preparing to fight the last war. The missile age and the longer range of weapons and sensors have changed the tactical needed to attack effectively first at sea since combat was carrier-centric in World War II. Since our subject is Fleet Tactics the greater emphasis is on achieving tactical success as a fleet commander or commanding officer. However we do not neglect the roles of operators in a command center or CIC. The reader will learn a great deal about the evolution of the Combat Information Center and how it increased the effectiveness of radar and sonar as World War II wore on. We also illustrate by describing the remarkable tactical skills exhibited by the Israeli Navy: commanders, shooters, defenders, deceivers, and the whole crew of each ship when the Israeli navy decisively defeated the Syrian and Egyptian missile ships in the 1973 war. That said, we shy away from speculation about the skills needed in the modern American navy. Instead, we stress the need for more at-sea combat exercises to get our operators ready to fight the age of missile salvos, unmanned vehicles, and information warfare. Girrier: I would emphasize the timelessness of the ability to “attack effectively first” – this captures it all. The required end state. The means to achieve that end evolves. Hence the imperative to understand the constants… trends… and variables of warfare. To prevail requires study of the foregoing, plus knowing one’s own capabilities and how to employ them with the utmost degree of effectiveness. Successful leaders will master the fusion of talent plus technology. Nelson: Could you give us an example of how a net-centric war might look in the future? Hughes: Network centric warfare is exhibited by today’s carrier battle groups and expeditionary strike groups, both of which must radiate continuously and unfailingly to be effective in the face of an enemy who will detect the radiations and attempt a sudden surprise attack. We emphasize the need to develop the ways and means to conduct our own surprise attacks by offensive action, especially in confined waters where an enemy navy must control his own seas with warships that must radiate to protect his shipping from our almost silent, well-practiced, sneak attacks including submarine attacks. We call this network optional warfare. Girrier: I agree with Wayne, it’s not all one or the other. The future will likely show that a mix of techniques, capabilities and competencies will be required. That warfare will exhibit hybrid characteristics and one’s agility in traversing disparate approaches will be of great value. Nelson: You’ve both been writing and publishing for years. If you would, walk us through your writing process. How do you research a topic and bring it to print? Outline? No outline? Pen and paper or straight to the computer? Girrier: My writing has been fueled by my direct operational experience. What did I know, when did I not know, and what did I wish I knew when I was serving in various positions throughout my career. I compile these nuggets, reflect on their merit (maybe these were things I “should have known” but didn’t place enough value on). Always compose an outline as it helps order my thoughts. Then proceed. I must say, a big part of these projects – especially when working updates and new editions – is the very serious responsibility of preserving hard-earned lessons. The voice of experience speaking through decades of operations. To update is one thing, maintaining relevance and currency; to preserve the deepest lessons and explain them in readily understood language is perhaps the hardest element in these projects. Hughes: Taking a macro perspective, my prescription for success was background in four aspects of tactics and combat: (1) Experience at sea. Combat experience at sea helps, and though my ships have only been shot at twice I think the experience of incoming rounds is better yet if you survive them. (2) Knowledge of naval history. I had the joy of teaching it as a lieutenant at the Naval Academy among a cadre of the best historians in the country. (3) Experience with operations analysis, past and present, especially with tours applying it on fleet staffs. And (4) hands-on experience with tactical development to fully exploit new technologies, both onboard ship and on fleet staffs. Nelson: Admiral Girrier, how did you get involved with Admiral Stavridis and the USNI’s Professional Series books? Girrier: Admiral Stavridis invited me to join him in this ongoing “professional series” project. It was both an invitation and a call to “get involved” and help make our Navy stronger. I remain deeply grateful for the opportunity. I’ve seen it as both a privilege and a duty. Our work on the Division Officer’s Guide, Watch Officer’s Guide and Command at Sea has all been pro-bono – I see that as consistent with the mission. It’s a team effort and most recently we’ve brought aboard CAPT Jeff Heames and CDR Tom Ogden (both post CDR-Command officers) contributing to the Division Officer’s Guide and the Watch Officer’s Guide. Nelson: Gentlemen, I want to close with two questions: What advice would you give naval officers today about how best to prepare for future conflict? And second, what’s the hardest thing the U.S. Navy must tackle to improve – either as individual officers or as an organization going forward? Girrier: Future arms races and conflict is all about the “race for cognition.” To understand, then act, faster than the adversary. This applies at all levels of conflict. If you own decision superiority, you know when to fight, and when to parry. You must know how, when, and where to create the conditions of tactical overmatch. Cognition means knowing your systems and tactics so completely, that when it comes time to act – your execution is reflexive. This takes training and empowerment of your people, and most importantly – focus and discipline. There are only so many hours in a day, these must be one’s priorities – period. Hughes: I worked for VADM Ike Kidd when he was Commander First Fleet in San Diego. He emphasized combat readiness if the shooting started tomorrow. Admiral Kidd was influenced by the fact that his father was killed in USS Arizona when she was sunk during the Japanese surprise attack on Pearl Harbor. But Ike also taught everyone to looking ahead at emerging technologies that would change tactics and combat in the future. His last duty was in overseeing the Navy’s technological development. Pertinent to what Bob says about focus and discipline, recently the surface navy suffered serious collisions with merchant ships. 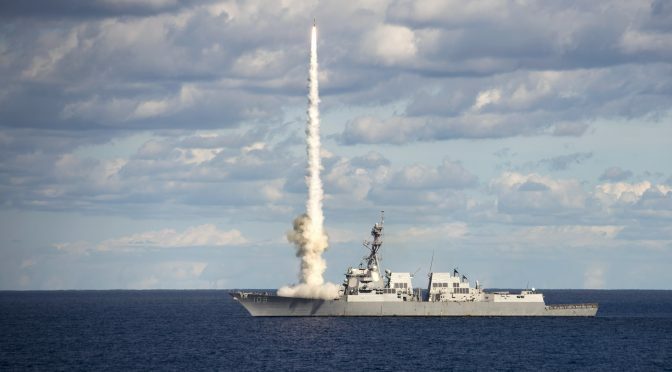 Navy officers today should ponder this: if our fighting ships can’t avoid big, slow ships that do not want to hit us, how well are we prepared to avoid small, very fast missiles that do? Girrier & Hughes: The technology that surrounds us – and is available to our adversaries – must be harnessed and put to the most effective use as rapidly as possible. Integrating these disruptive technologies challenge our existing systems, procedures, and operational techniques. We are a large and powerful force, with tremendous investment in existing capital assets – that fact can impede true innovation and the adoption of more lethal effects. Our adversaries know this, and are constantly looking at ways to defeat us. Information warfare is evolving very quickly and we must never be complacent in this regard. We must continually adapt, and do so with speed. Nelson: This was great. Thank you, gentlemen. Captain Wayne Hughes, USN (Ret.) served thirty years on active duty, commanding a minesweeper, a destroyer, and a large training command. In retirement has taught, done research, and served as a Dean at the Naval Postgraduate School for over thirty years. He is a distinguished author of the US Naval Institute. Rear Admiral Robert Girrier, USN (Ret.) is the president of Pacific Forum, a Honolulu-based nonprofit, private foreign policy research institute providing timely, informative, and innovative analysis of political, security and strategic developments in the Indo-Asia-Pacific region. He is founder and managing member of StratNav/Strategic Navigation LLC, a consulting company. He is a naval leader with over thirty years’ maritime experience and extensive operations throughout the Indo-Asia-Pacific, Europe and Middle East. Christopher Nelson is a naval officer currently stationed in the Pacific. He is a regular contributor to CIMSEC. The comments and questions here are his own.